Let your creativity run wild and design a custom Galaxy S7 case. Don't resort to a boring, regular case. Find your favorite picture to be printed! Share your case design with your friends after you're done designing your Galaxy S7 wallet case. Do you use your wallet often? Well then reduce how much you carry and replace your wallet with a Galaxy S7 wallet case. You’d be killing two birds with one stone! This way, you not only protect your valuable smartphone from damage, but you are also free from that awkward wallet in your pocket. The wallet case has many compartments to store your valuables, such as cards and bills. 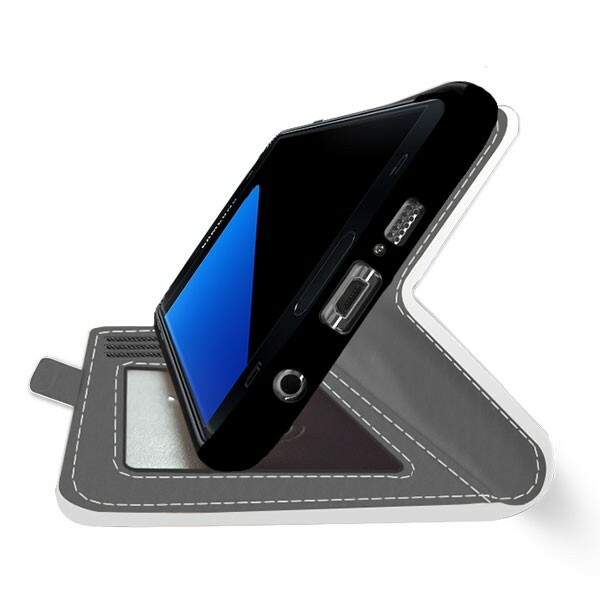 Your phone can be clicked into the case and a magnetic clasp ensures that your phone is sealed tight and safely. Additionally, the cover is designed with several openings that do not hinder your phone’s functionality. This makes your phone easy to charge and earbud accessible! 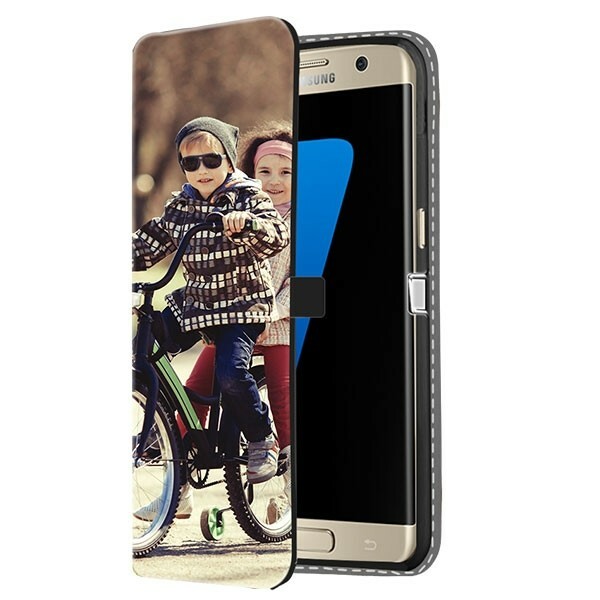 Share a favorite moment directly on custom Galaxy S7 case! During the design process, you can use our user-friendly phone case maker. 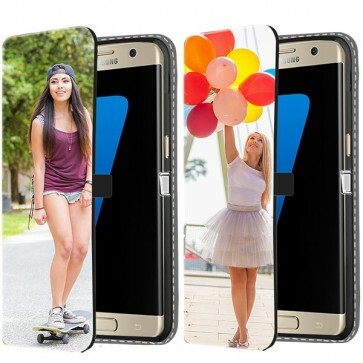 In our phone case maker, you can utilize any picture you would like, whether it is from your computer or from your large collection on Instagram and Facebook. Choose one of your best moments with your friends or one of your most romantic moments with the love of your life. All you have to do is upload and edit! In our customizer, you will also find some of our most popular designs used for phone cases. 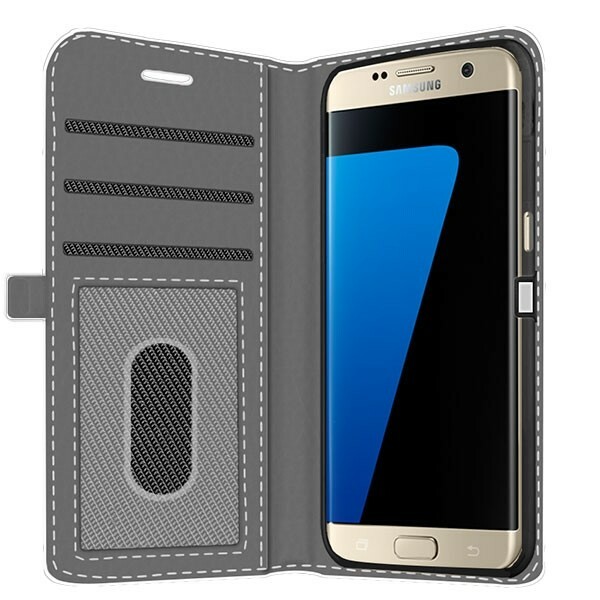 Just be sure to design your own personal Galaxy S7 wallet case exactly the way you want! Do you want to get rid of your awkward wallet as soon as possible? Well then order a Galaxy S7 wallet case! We use very high quality ink during the printing process and print the case very quickly and sharply. Shipping is quick and reliable. If you have any questions, you can check our FAQ page. If you still have questions, feel free to contact our support team!